Hello dear guest, we are family Kravos and would like to welcome you in our villa. Our family-friendly villa is located in a quiet neighborhood. The house is surrounded by an idyllic garden and a kiwi plant gives you shade on the terrace. If you have any questions, please do not hesitate to contact us. We speak English, Croatian and German. Zdrelac is an idyllic, quiet fishing village with everything you need for your daily life - there is a grocery store and a restaurant within walking distance. The villa is located just 5 minutes from the beach. Within a radius of 250-800m are many beautiful small bathing bays with crystal clear water. It offers you absolute peace and beautiful nature. The national park 'Kornati' with hundreds of islets is located directly in front of the island of Pasman and can be explored by boat excursions or sailing trips. On the island of Pasman and Ugljan there are other small fish taverns with small authentic restaurants, a. The fishing of the day and Croatian specialties. The island can also be explored well with bicycles. More important cities on the mainland with various tourist offer are Zadar and Biograd - definitely worth a visit! The property (house, terrace, garden) is very spacious and comfortable. Owners were warmly welcoming us. It was everything available in the kitchen what was needed. The island is very nice for discovering hiking/ bike trails and of course beaches. Very good prize for value. Zdrelac is a small quaint fishing village on the island of Pasman. Beautiful beaches and a sandy beach are the main attractions of the place. 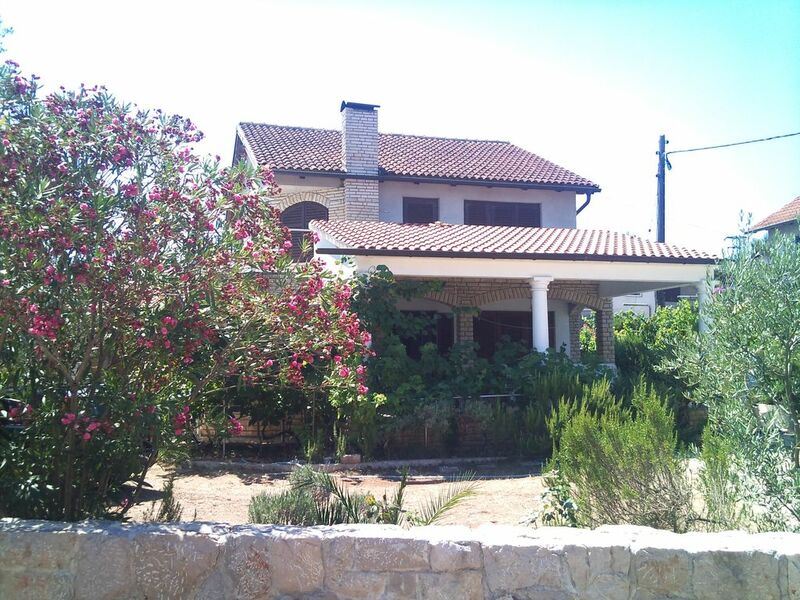 The house is located 250 meters from the beaches. Likewise, there is a restaurant and shops within a radius of 500m.